I’ve officially broken-up with my candle collection. I used to be a complete candle-addict, but my candles have collected a lot of dust since my first essential oil diffuser arrived last year. I never use candle warmers or anything that might heat the oils too much. Cold air diffusers are the best way to preserve al the beneficial properties of your precious essential oils. 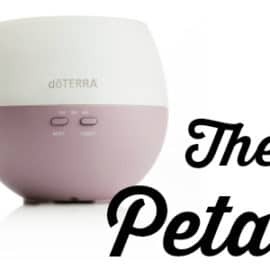 If you are new to essential oils, there’s no better way to get to know them than through your diffuser. 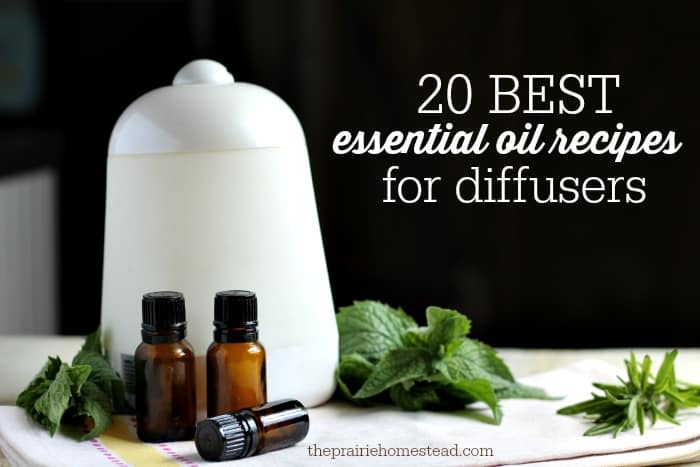 Try a few of my top favorite essential oil recipes for your diffuser below to get you started! Follow the manufacturers directions on your diffuser. If you don’t have one of the oils called for in the recipe, you can still try the recipe without it. I love diffusing citrus blends when we have company coming over. It makes my house smell happy and clean. I think this combo smells very masculine and woodsy… Although I enjoy it too. What autumn should smell like. I don’t know why, but this one smells like candy. The kids love it, and it’ll make your house happy. Wondering Where to Get Essential Oils? There seems to be new essential oil companies popping up every day, but I’ve used doTERRA essential oils for nearly 4 years and I’ll never go anywhere else. The oils are third-party tested for purity (you can SMELL the difference if you compare them to other brands), ethically sourced around the globe, and I love that doTERRA is a humanitarian-geared company. Hearing stories like this of a Wellness Advocate who is working hard to help Ebola-ravaged areas of Africa makes me so proud to be associated with this company. I’m happy to personally help you get these oils in your home and tell you more about why I chose doTERRA-– click here to connect with me. I love your info. I love how we can learn more about oils from others’ experiences. I’ve been inspired!! I too am an IPC. Great post friend! I will be sharing and pinning! I love seeing the different combos for my diffuser. Have a great day and thanks a lot! Just ordered the spa vapor! Can’t wait to start diffusing. Love the recipes above! Yay– glad you snagged one. They are so hard to find sometimes! So, when you list those ingredients, and underneath have the blend name, is the “recipe” the one for the actual blend or is it just a similar one? I’m trying to find the “recipe” for both the balance and serenity blends. I did not recieve my essential oil ebook and I was so looking forward to it. Great list! We love the Ultrasonic Classic diffuser at our house–have you tried that one? I do love the Whisper, but our Ultrasonics are more affordable for placing in multiple locations throughout the house. Can I just drop these individual essential oils into my diffuser or must I first blend them together in an amber bottle and then put a few drops of that blend into my diffuser? Thanks for your help! It depends on your diffuser. If it’s a cold-air diffuser that uses water, you can just drip each oil into the water. thank you for breaking down the blends. Let me know please where I can get more recipes I’m new to essential oils but I’m sold after had sick kids, eucalyptus, lavender, and tea tree oils worked great especially for the 3 year old, who’s to young for other meds. As far as the respiratory blend, I doubt it’d be very effective if you used it in the reed diffuser. A cold air diffuser would be better. I was wondering what you would recommend for a doctors waiting room. 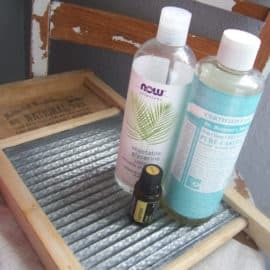 My friend is opening her practice in her home and I suggested she use essential oils to mask home odors like cooking, etc. What would be safe and not so overpowering for all patients? Do you have blends similar to balance or in tune? What is the best odor eliminator? I have multiple cats. Hi Jill, I take it all these concoctions are safe for cats, dogs etc? Its a great post, but you really need to mention pets here, eve if its directing your readers to another page??! I’ve diffused every oil imaginable with dogs and cats in the house and have never, ever had a problem. The diffuser mist is diluted in the air enough I can’t see it causing problems. I’m sure this is in large amounts or if ingested. A small amount in a humidifier is not going to harm an animal I’m sure. Unless the owner was irresponsible about where they placed their humidifier and the animal knocked it over and drank it for some reason. 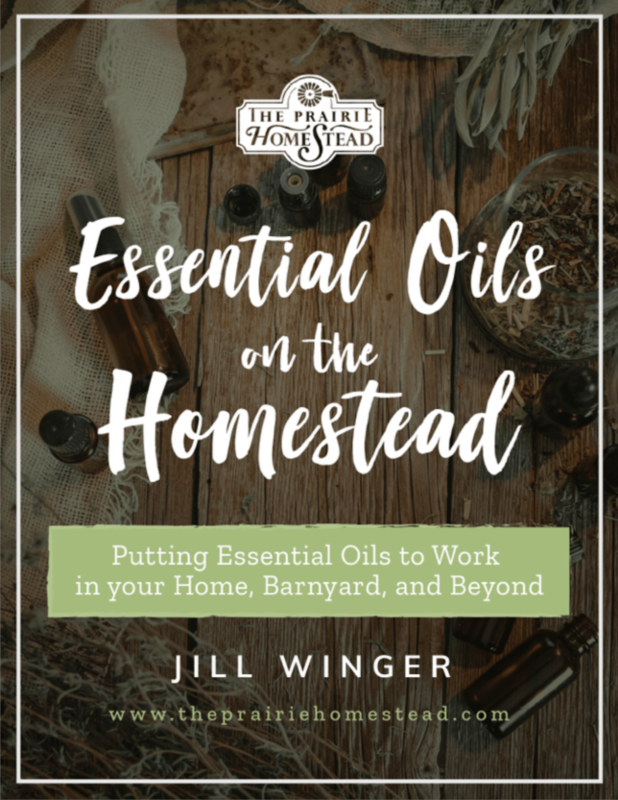 But Jill seems to know a good deal about essential oils and has used them around her animals, I myself have been using them for years with my animals around not only in the humidifier. P.S I’m sure the humidifier is safer then any of the chemical filled air deodorizers or anything else left out that animals could get into for that matter. I am fairly new to essential oils, but I love them. I am thinking of getting a diffuser, which one is your favorite? Hi Jill! I love your website! I’m a 58 yr old widowed teacher, but I love following your site! 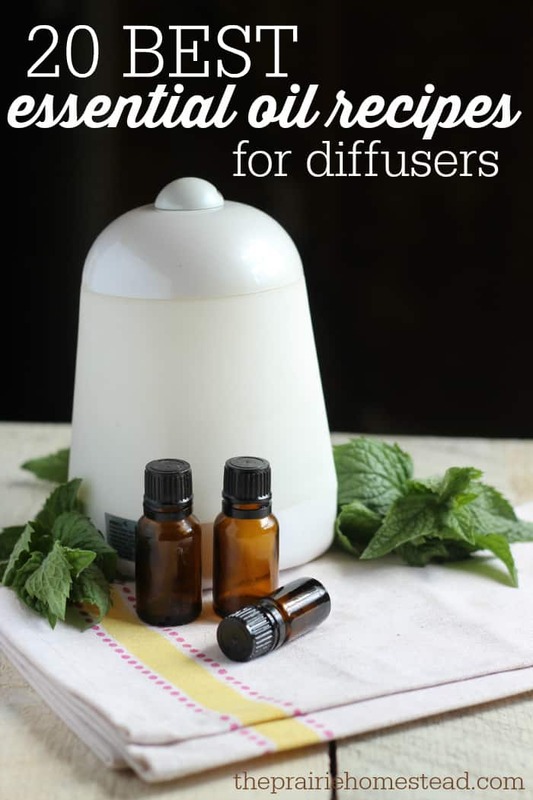 Do you know of a diffuser that doesn’t have a light or glow? The light keeps me up at night, yet I need my essential oils! The Spavapor has a no-light setting–and the AromaAce doesn’t have any light at all–so those might be good options. Jill, thanks so much for letting me know! I really appreciate it! A lot of them give you the choice on whether or not to use the light. We just had a few days of ridiculous hot wind (by the beach..ahem* SAND). First thing this morning I put lemongrass in my diffuser. HUGE difference. The wind storm seems to have stopped so today is going to be the day to wipe everything down. I’m making a spray with the lemongrass to wipe down the surfaces. Ooooh, I like that idea! Love your site and information! Had quit using my cold air diffuser and pulled it out a few days ago while sick with a case of bronchitis. So much better after enjoying peppermint and eucalyptus. Making my shopping list now! Hi, I have an oil burner and find no matter what scent I use it ends up smelling like the very first oil I ever put in it and it’s Def not my fav. Do you find this issue with your diffuser or any other? Maybe I need a different one? Hi Betty– if you send an email to info(at)theprairiehomestead(dot)com, we’ll make sure you get a copy! I love the combinations that you’ve shared, but I have a question . . . I thought that you shouldn’t use citrus oils in your diffuser. I guess it must depend on the diffuser? I’ve never had problems using citrus oils in my diffuser– they one some of my favorite oils to diffuse in fact! Problem with the Aroma Lite with Citrus Bliss eating away the plastic spout after two weeks of usage, 4-5 drops every other day on full cycle. Any suggestions? Any essential oils will eat through plastic. The only things that should come in contact with EOs are glass & stainless steel. I love everything oils. Thank you so much!!! I tried to download you EO ebook but it said the link wasn’t found. Is it still available somewhere! 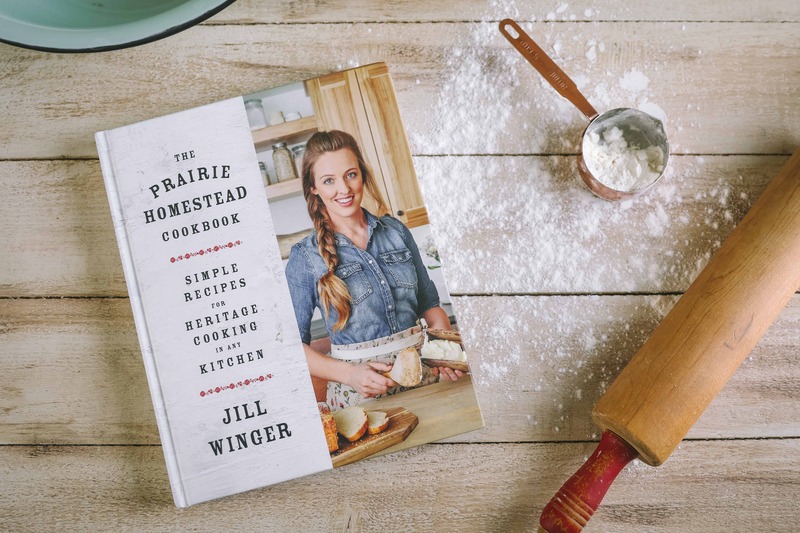 Hey there– send an email to info(at)theprairiehomestead(dot)com and we’ll make sure you get a copy! Hi Jill, I started following you on fb not even knowing you did oils. I joined the oil life in July. So glad you and some of the other people like Keto Mama are apart of this life style. It makes me trust the oils knowing the same people I gravitated to for other aspects in my life also share this life style. I look forward to a new life that blends so well with all my long term beliefs. Do you do any educational videos or anything I can learn from? I plan to build and want to learn from those who have done so well. Any tips would be great and today is a Citrus Explosion day here in the office thanks to your recipe. Have and Awesome Day!! Hi Robin– if you search ‘essential oils’ here on the blog, you’ll find lots of posts and ideas. I do webinars on occasion, too. 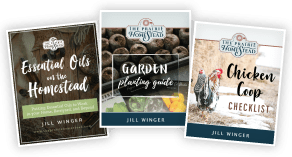 I am just getting into the essential oil scene and am loving all of the free content you provide! I have a question about eucalyptus EO. Of the three major types, which do you use, as your recipes only call for eucalyptus, not specific as to globulus, radiata, or citriodora. Thanks! If you are wanting to use a diffuser for a specific health challenge, you’ll probably want it to be within 10-20 feet of you for maximum benefit. My husband is experiencing chest congestion, friend said to try a diffuser, got one, what oils would be best to use? I am sorry if this is offending, but why does DoTerra price their oils so high? I will never buy from them because I have used them and they are the same quality as all the other brands not greedy for money. For example: I can buy 100% pure (and I have this to compared to other brands, still work the best) Frankincense oil for about $14 for 4oz. But if I got DoTerra, that would cost me a hefty $558 wholesale. DoTerra retail for that would be even more, $744. That is 53x the price of the same quality oil I get. So is DoTerra really 53x better that what I get? When it comes to essential oils, you get what you pay for. YEs, there are plenty of brands out there than claim to be 100% pure (heck, you can even get “pure” lavender oil from Wal-Mart, which testing results show is not even true lavender oil…), but just because an oil claims to be 100% pure does not mean it is of the same-quality, or contains the same constituents as a properly-sourced oil. doTERRA sources their oils from all over the world and is committed to paying growers and farmers fair wages. Think “fair trade coffee”, but with essential oils instead. In other instances with other companies, oils are often purchased in bulk from middlemen, and they farmers are not paid fairly for their work. A high-quality product priced in a way to support farmers to produce the highest-quality oils as possible (many in third-world countries) is not the same as a company “greedy for money”. I LOVE Eden’s Garden. Reasonably priced and very quick at getting their orders out. You also get points to put towards your purchases, for liking them on FB, for your b-day and other ways to earn. I trust this company as well. Why do you invite people to comment on your blog when you delete comments that you don’t agree with or like? How is that being true to your readers? This creates a very one-sided view or argument and does not allow free opinion or speech. I posted a reply comment regarding the price of essential oils stating that in most cases you do get what you pay for but some companies are overpriced. This was obviously a comment that you did not want read and felt threatened by the content. Obviously your philosophy is based financially and not in the best interest of what is good for the consumer. Shame on you! I allow plenty of comments on the blog that I don’t agree with. I believe your comment on this post about diffuser recipes said, “doTERRA oils are overpriced” or something along those lines. As someone who is deeply involved with doTERRA, knows what goes into doTERRA oils, has been to the fields where the plants are grown and met the farmers, and also compared doTERRA oils to a number of other brands, I wholeheartedly disagree with your comment. I believe doTERRA oils are an amazing value. 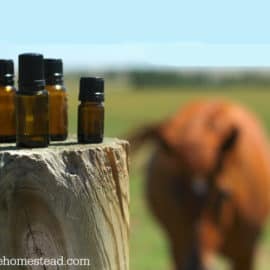 You are absolutely allowed to have your opinion, but I have little interest in starting a debate on essential oil pricing here on my blog, as it accomplishes nothing. Therefore, I deleted the comment from my blog. I have a question so does it matter what oils I buy as far as price wise. Of course it’s much easier to buy the cheaper oil than the more expensive I don’t mind buying the little more pricey one but is there really a huge difference? From where I can get pure essential oils in india. Are these drops meant for 70 ml diffuser? My diffuser is 500 ml and I want it to run all night so I will have to fill it to the maximum level. Should I add more drops? Where an I buy the bigger difusers? Not sure if I just missed it… but where do you purchase your oils from? Jill, thank you for your blog post. I have never used essential oils. Thanks for the information on the different oils and the combinations. I have heard of essential oils, just was never sure which oils go together. I want to try them. I have 10 med size plastic containers full of candles of every shape and color for each season and plus some. In the closet and under the bed. I hardly use them much anymore, since they just don’t seem to hold the smell when they are burning. They just sit in the plastic boxes taking up space. My Radha diffuser says to use 2-3 drops of oil so I can’t use most of these blends. Any advice for smaller amounts? FYI: under the blend for deodorizing animal accident odours, you have listed lemon , tea tree among other citrus oils known to be VERY toxic. I know Young Living touts their oils as “safe” for pets but it’s simply not true. Just ask my neighbour who killed her cat thinking that because she was using “Young Living” it would be fine. Limonene and other components are TOXIC in these oils for cats, they simply cannot metabolize them with their liver. I cringe when I see people gleefully telling how tea tree oil has prevented fleas in their cats..yeah, pretty soon they won’t have a cat for the fleas to bite. Do your research please! Aromatherapy is great but certain oils, tea-tree, clove, citrus oils for example are downright dangerous and can cause toxic overload or death. Regardless of brand used. Sorry I just felt I needed to post this to spare even 1 person heartache over losing a pet just not realizing the extreme potency of EO’s on pets/cats. I’m excited to try the candyshop recipe! But I was wondering if wild orange is closer to sweet orange, blood orange or just orange? I can’t seem to find a wild orange in the oils I use. Thank you so much for sharing these essential oil recipes! Thank you for posting these recipes and giving me the courage to try something on my own. That sounds like a great blend! 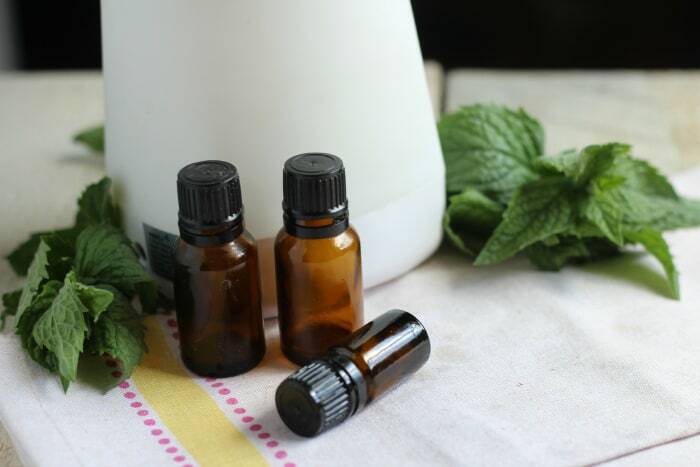 Thanks for sharing these essential oil recipes! Excited to give some of them a try! I have a c pap machine with a water chamber in it could I use essential oils in it? You recommend doTerra because you are a doTerra consultant, correct? There are other companies who sell pure oils online. Can you name other companies, because not everyone can afford doTerra? 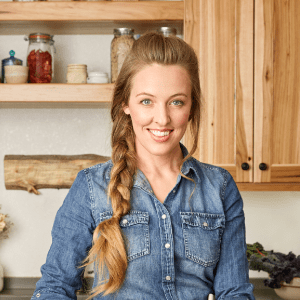 Thanks for these great recipes, Tabitha! I am looking forward to trying them! I have a question for you…Do you have any specific suggestions for keeping the diffuser clean when using citrus? I love your Clean Air blend! I read it an looked thru my stash of essential oils to see what I had on hand. I substituted Coriander for the Cilantro and Orange for the Lemon. And it smells sooooo good!! I am very glad to visit here because everyone should have an essential oil diffuser included me.Lately my favorite oil to diffuse has been Jasmine.I’m obsessed with it. I literally feel like I’m in a garden sometimes and I love it! Keep blogging. I am very interested in essential oils but I lost my sense of smell about 5 yrs ago Will the oils still work. I was introduced to dottera oils 4 years ago. I have also used other oils for diffusing. There is a huge difference between oils in my opinion. Although various oil manufacturers claim to be 100% pure you can tell the difference as compared to dottera which has purity in scent. Many oils have carrier oils added to them so although they claim to be pure they are not. Also dottera oils are therapeutic grade and many can be ingested safely. I believe if you are going to inhale a substance it should be 100% pure with no additives. As a nurse I know this is important. Just my opinion. I have done extensive research on essential oils. NO oil should ever be injested. There are only a few food grade oils that can be injested. There is no such thing a therapeutic grade oil. Do more research. Many companies claim 100% pure and that may be, it’s the process that makes them unpure. If you want the real thing you must only buy USDA ORGANIC. The process is guaranteed minimal. No machinery so you not getting metals in your oil which is harmful to us. I hope this helps. on this issue last couple of days. Hi, it would help to know the water content to the oil recipe you noted. I have no idea how big a diffuser I need. Our company are professional cassia supplier in China, We supply the whole range of cassia products originate in the largest cassia cultivation base in China. The cassia products from this region is famous by its good quality. They have aromatic flavor ,sweet taste, appreciable thickness and high oil content. All of our cassia products are strictly produced according to international production standard, and well certified by SGS, ISO,CIQ etc. We guarantee the high quality. Hope we can have long-term and friendly cooperation in future. I have a diffuser that holds 600ml of water. I’ve read that the general rule of thumb is a couple of drops of essential oil per 100ml of water. So for just a nice vanilla scent I’d use 12 drops or so of a good oil and up to 20 of a weaker one. My question is this…when using a blend such as citrus explosion where it wants multiple drops of multiple bottles (total of 5 drops) do I treat that as the “minimum” and multiple accordingly by 6(30 drops) for 600ml or does that count toward a total where I might multiply by 4 to get it up to 20 drops of various oils? what do you think about doterra terra shield? also, any specific blend for mosquitos? Great information, thank you for sharing! Really that’s great information. Thanks for sharing. I must say article fundamentally sharing a genuine guide. Black cumin seed oil is the best health supplement product. Thanks for these awesome recipes. I feel I need a little G’NIGHT and a little GOODBYE STRESS right now. Diffusers that requires water destroys the therapeutic health properties of the oils. The only type of diffuser you should use is a wood or ceramic and glass nebulizer diffuser. doTERRA are OK oils but they are, just like Young Living, way over priced and have both been found to adulterate some of their oils when the plant material runs low, real expensive or rare. Their members will argue saying, “No way all their oils are 100% pure”. Well think about it, the lab tests are run by the company itself. So people just tend to believe whatever the company tell them. I’m still doing the research and have found a couple of places to get high quality organic therapeutic grade oils at half the price and not the over priced marketing ploy of the big companies making big bucks off their loyal members. They can easily do this because most people don’t want to take the time to do the research themselves. Once I became disable with life threatening illnesses, (Cancer,ect. ), I could no longer afford wasting money on high prices oils. I love this post! I have gotten on the essential oils bandwagon recently and have been figuring out what recipes work well! Thank you! This is Nakita from Grand Selection. Grand Option is a fragrance diffuser distributor supplying the most recent design and also newest modern technology. We have actually diffusers made with various products consisting of timber, bamboo, glass, ceramic, porcelain as well as plastic. We have a top-tier style team continuously giving new ideas. Our modern technology permits our diffusers run a lot quieter compared to normal products. Waiting to collaborating with you. 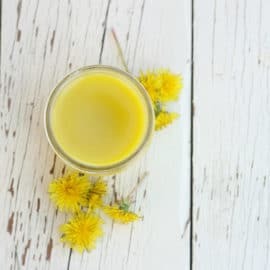 Thank you for this lovely list of essential oil recipes. I have used essential oils for a long time, but never quite figured out how to blend them for calming and physiological benefits. However, I must say, your impressive recipes appear to be right on the money. The first one I’ll try is the “Deep Breath,” I believe it’s exactly what I’ll love. Again, thank you.. I found this post on Pinterest and I can’t wait to try these oil recipes out! I’m going to try #16 first. Thank you for sharing! I like essential oils and I have been using all kinds of essential oils. The oil recipes described in this article are excellent. There are a few of them that I plan to try right away tonight. I have a tip for a newcomer. Because the essential oil is insoluble in water, the waterless diffuser is better. Wow wonderful! It’s like having the secret to all the “proprietary” blends that I love. Thank you. My 90 year old father is really interested (and enjoying!) essential oils in a small diffuser. The only issue is that, if 2 drops are recommended, 10 are better. Can you recommend a carrier oil I could use to mix the essential oils with? He’s gone through 8 bottles of essential oils in one month.